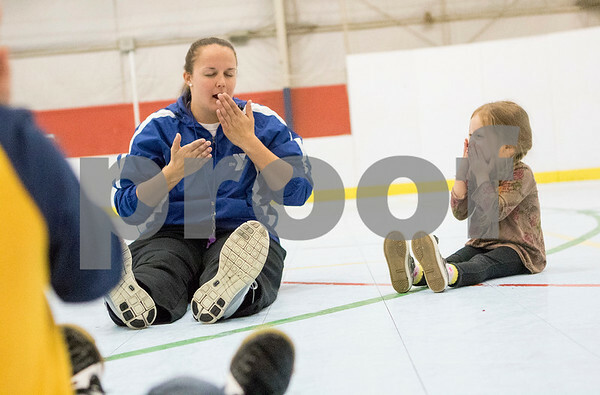 YMCA sports director Jessica Bacon (left) eats a pretend sandwich with Aubrey Falk (right), 3, while stretching out during pre-kindergarten camp at the Kishwaukee Family YMCA on Friday, Dec. 11, 2015. The "No School, No Worries" camp starts on Dec. 21 and also meets on Dec. 22, 23, 28, 29, 30. Pre-kindergarten through eighth grade can be enrolled.